While there’s plenty of incredible American, Cajun, and Irish-American fidders, there’s also a rich history of fiddle-based folk music from Canada. 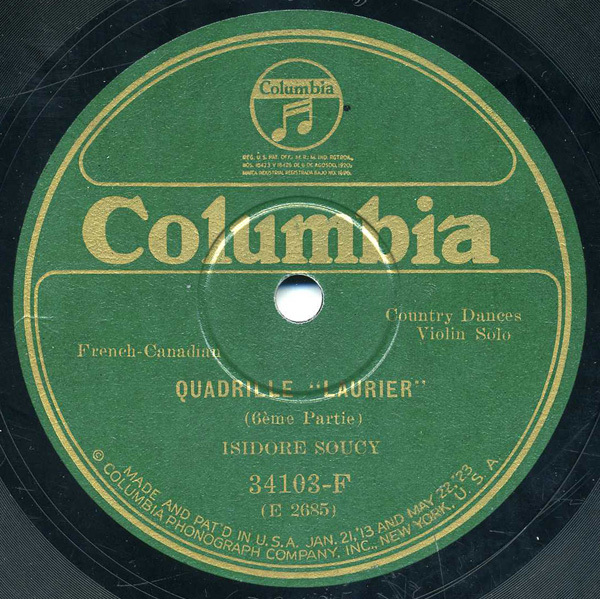 And while some diehard fans of the back-woods American fiddlers might scoff (and I, myself, first gained interest in 78s through early American country music), it’s difficult to deny a track like this, Isidore Soucy’s quadrille, which is similar to a square-dance, except without calls. According to one source I found, a quadrille is historically a dance representing a maiden fleeing a young man’s advances, and like much folk music, was performed at community gatherings, parties, or with family. 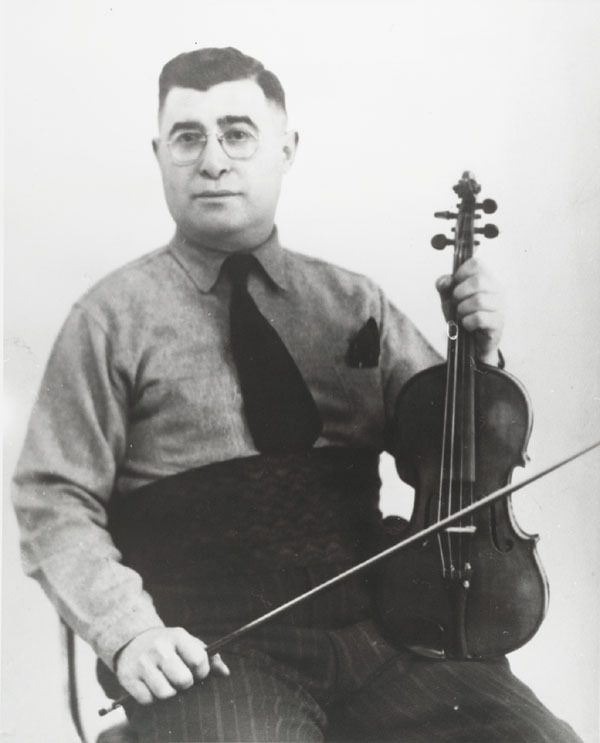 Isidore Soucy (b. Ste-Blandine, Québec, 1899, d. Montreal, 1963) was a force in traditional Québécois folk music. His recording career began in the late 1920s as a soloist, and lasted well into the LP-era, recording often with his wife and four children as the Famille Soucy. His fiddling is not as raw as some American country fiddlers, it’s more stylish and rhythmic, and its European influence is more apparent (especially with it’s piano accompaniment, like many Irish-American fiddling records of the day) – but the virtuosity is there. This track was recorded at a very early point in his career, ca. 1927. You can find more Soucy at the virtuous Virtual Gramophone website, which has dozens of fine French-Canadian folk music tracks for download (though, not this one). I would also recommend listening to some tracks by Joseph Allard. Just bitchen. I esp. dig that clumpy piano accompaniment. Is there any French influence at work here? Good to hear from you mrowster – oh yes indeed, plenty of French influence, as well as Scottish, etc. More fiddle later today! Wow, this song is incredible! Looking forward to more fiddle music. Virtual Gramophone is a fantastic resource–there are so many Joseph Allard recordings in their archive, it’s almost embarrassing. Anyone who likes this site should check it out. Thanks for this one. It’s quite a treat. Thanks, JMT, for the kind words – and agreed, the Virtual Gramophone is indeed a hidden treasure trove.